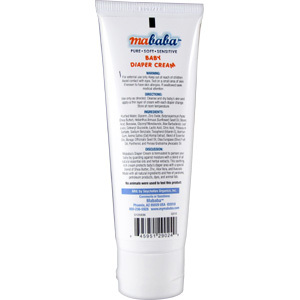 Mababa Baby Diaper Cream is formulated to pamper your baby my guarding against moisture with a blend of all natural essential oils and herbal extracts. This soothing, rich cream protects baby's diaper area with a special blend of Shea Butter, Zinc, Aloe Vera, and Avocado. Made with all natural ingredients and free of parabens, petroleum products, dyes, and animal fats. Purified Water, Glycerin, Zinc Oxide, Butyrospermum Parkii (Shea Butter), Helianthus Annus (Sunflower) Seed Oil, Stearic Acid, Beeswax, Glyceryl Monolaurate, Aloe Barbadensis Leaf Juice, Cetearyl Glucoside, Lactic Acid, Citric Acid, Potassium Sorbate, Sodium Benzoate, Tocopherol (Vitamin E), Xanthan Gum, Avena Sativa (Oat) Kernal Extract, Blend of Essential Oils, Borago Officinalis Seed Oil, Olea Europaea (Olive) Fruit Oil, Panthenol, and Persea Gratissima (Avocado) Oil. 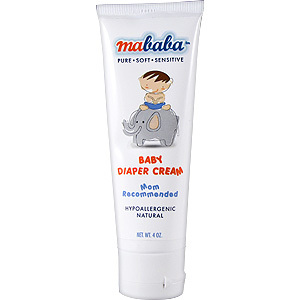 Mababa Baby Diaper Cream - 4 oz is shipped in a discrete, unmarked package. Orders are processed immediately and usually takes about 3 to 5 working days to be received. We do ask that you try it for 2 to 3 weeks to feel the full effects. Any information received is used only for order processing and shipping purposes. Your information, such as e-mail address, will never be disclosed to a third party.